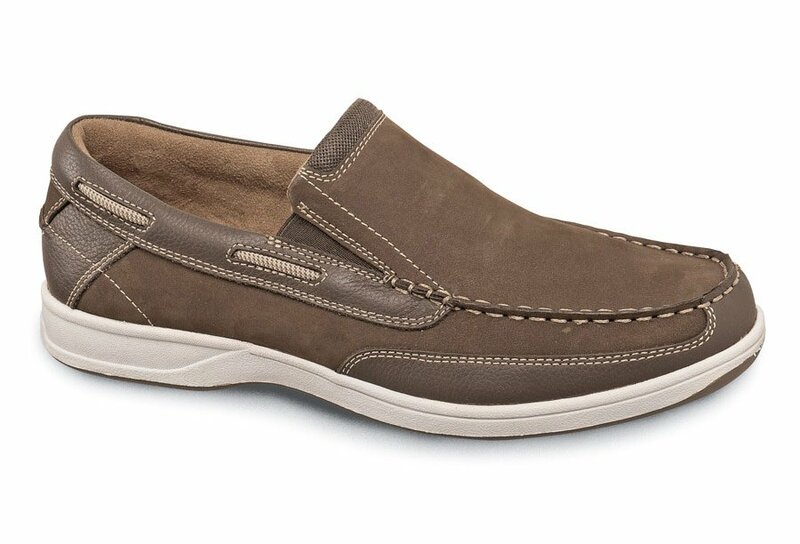 Florsheim’s “Lakeside” slip-on boat shoe has velvety nubuck and grained milled leather uppers with sueded linings and footbed that are so soft you can wear the shoes without socks. 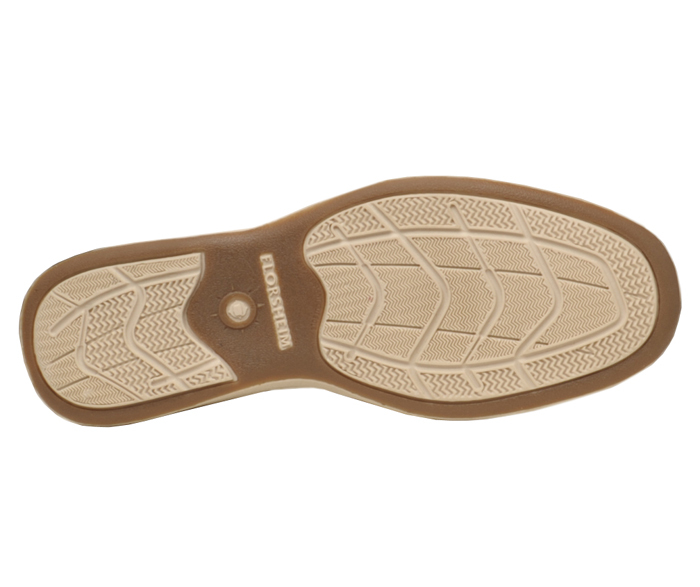 Boat-style gripper sole. Men's sizes 7–11, 12, 13 and 14 in 3E; sizes 7–11, 12, 13 in 5E.